A terrifying adventure commanding a trackless locomotive through the sky. 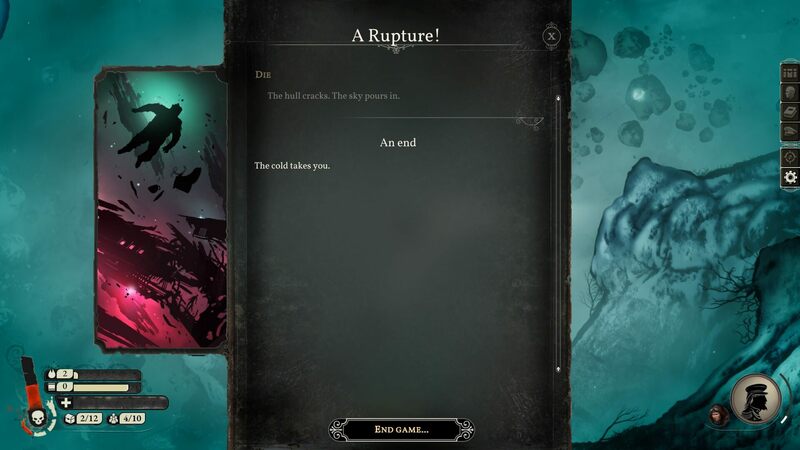 Since I never had the pleasure to play the critically acclaimed Sunless Sea, I really didn’t know what I was getting myself into with Sunless Skies. All I knew going in were a couple of differences: Sunless Sea was in a boat — later a submarine in the zubmarine DLC. In Sunless Skies, I’m in command of a trackless locomotive that’s scouring the skies. Yes, a trackless, steam-powered locomotive. Carefully creeping through the sky. Very rarely do I comment on graphics, especially this early in a review. 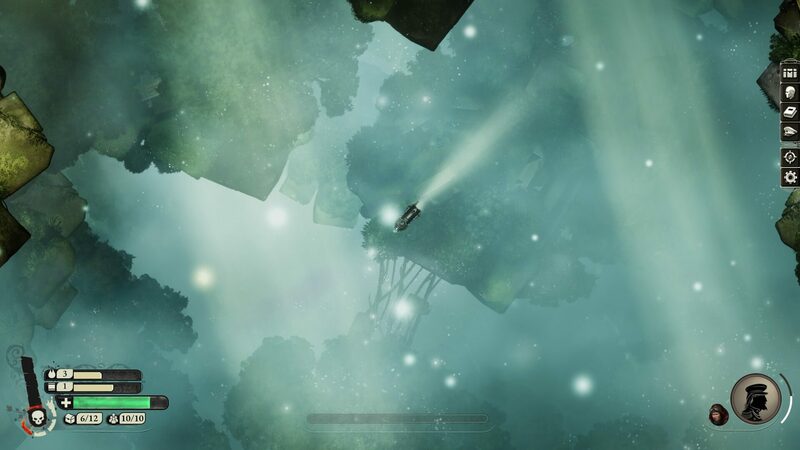 However, Sunless Skies is absolutely stunning. It has this eerie, Victorian, Steampunk ambiance which — although there are plenty of scary, creepy things in the sky to try and kill me — emotes this feeling of isolation and loneliness. I never play games with the music on, so until I run across something after me, my crew and I simply chug along to the sound of the engines of our train… engine. After picking up a couple of assignments, the black fog of war only increases the feeling of desolation. The tasks give us a general direction of where to go, but is very far from specific. Basically then, we’re meandering about this dark, bizarre world — all the while hoping not to run out of food or fuel. The seclusion and remoteness are literally built into the game — there is a terror meter that I have to keep an eye on, lest my crew freak out, go into a panic or do some other strange, terrifying behavior(s). Trust me when I say you do not want to witness any of these things. There are two options going into the game which handle how your imminent death will play out. It’s not a true rogue-like in the fact that you do continue onward after death, albeit at a penalty. First, you can choose the easier Merciful Campaign which, when you die, you can either reload or continue with a new captain. The other option is the Legacy Campaign. When you die, you will leave a tiny bit of your gatherings behind, but you definitely have to start with a new heir-apparent. ...with more to choose from. My first command settings. Every choice affects the experience! As convoluted and complex as Sunless Skies can end up becoming, there are still really only four or five things you have to worry about. First, just like in real life, is money. You need money for food, fuel, buying items and ship repair. In the beginning especially, money is at a premium and hard to come by. Once you begin to make a little, it’s still something to watch for — as it’s also easily spent, sometimes foolishly. Surely not from personal experience <cough, cough>. Second is food. Umm… your sailors need food. My first time through, we ran out of food. Don’t do that. As you look around the ship there’s only one source of food left — the sailors themselves. No, as you’ve asked, my first time captaining didn’t survive the initial round of rampant cannibalism. Eventually, with most of the crew eaten, an enemy ship decided it’d be a good time to attack us. It was. Then we blew up and died — those few of us that were left. Next is fuel. You’ll have to watch the fuel gauge very carefully as to not run out. Personally, I haven’t run out of fuel so I don’t know the consequences. I do know what happens when you spend too much money on fuel and not enough on food though (see above). I can only imagine sitting stranded until running out of food. My other guess would be to hope a defeat-able enemy might come by who you can kill and scrounge supplies from. The last real commodity is supplies to fix the damages acquired on the ship. Sunless Skies has, what I call, a multi-layered background. This certainly adds beauty to the game, but it can also become confusing as to which layer you are actually cruising on. There have been times I thought I could just drive through something, only to find out it was solid. Conversely, there were times I’d avoid a certain landmark believing I would crash into it — only to realize later that I could have been sailing through it the whole time. Between self-induced harm and fighting enemy ships and/or monstrosities, your ship will get damaged. If broken down to the zero mark, you’ll sink and, of course as per usual, die. Hopefully, we can get supplies here. The unfilled green bar means the ship is damaged. The fifth and final thing to worry about is the terror gauge. In Sunless Skies, as you’re exploring, discovering and fighting, your crew’s terror meter slowly builds up. It’s just as creepy out there for them as it is for you. Luckily, there are ways spoilery ways to reduce this, but it’s still something you must keep an eye on. Just for the halibut, you can also suffer from loneliness, guilt, personal failing and ennui. The psychological attrition is an extremely well-built addition for your excursions. 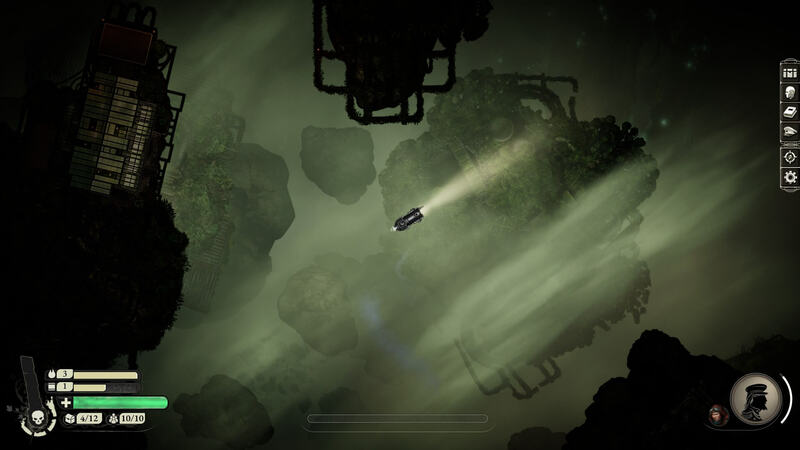 Having only witnessed a couple of the areas of Sunless Skies, I can say that I had a terrifying blast playing it. I believe there are four total areas. It’s gorgeous and eerie and surprising and frightening — all at the same time. There’s a monumental sigh of relief when completing even a basic task. There’s always a sense of, ‘Whew, we made it!’ due to all of the odds being stacked against us. Even something as simple as finding a new port feels like a minor victory. I can’t wait to go back and see if I can survive until the end — even though now, I size up my friends as if they were crew and who would go first if I was… hungry. 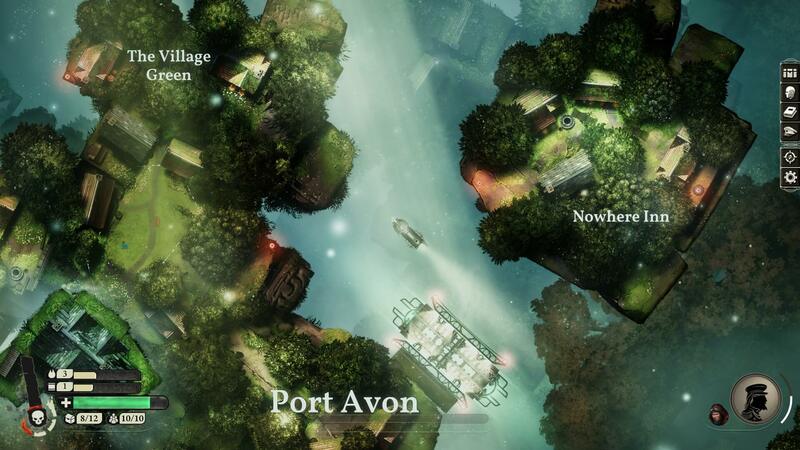 Sunless Skies is available now on PC, Mac and Linux.